I drive around this area always when I go to work or return home. It took some time but I decided to visit it this afternoon. We have a few last sunny days and it's really nice and relaxing to spend them in the nature. I was part of the 15M CW team in IARU HF Championship. The contest started at 1200 UTC and first 40 minutes was great but I had to leave the station because of horrible headaches. I had to spend the rest of Saturday in bed and returned to the radio at Sunday 0500am and left it after the end of the contest. The propagation was really bad, we made over 1400 QSO. I gave 161 to all FOC members after the QSO. There are a few photos from the contest. 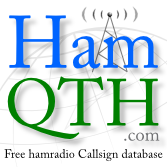 Joe is the owner of callbook.us domain which is redirected to HamQTH.com. We were in touch via email for some time and last year, he wrote me they are going to visit some EU countries this holiday. Finally, we met in Prague this morning and had a lovely eyeball QSO. Thank you, Joe! World Flora & Fauna program is very popular. You can work several stations from different areas every day. I was also active from three areas this year. Twice from a car, once with QRP FT-817. My next activity will be with QRP directly from the area. Sitting in the car is not funny. Rig will be TS-590SG with sloper for 80M tuned with LDG Z-100 autotuner. See you on the air! Last year was very successful in my ham radio career - over 5000 QSO. Unfortunately not everything was good... .
That was fast! E6GG expedition was really the best. Three new countries in last three days! Last three days were amazing! The propagation was really good and I made three new countries - E6, T2 and 3D2KM. Especially operators of the E6GG did very good job. Almost no QRM on their freq, no cops and excellent operating. I made QSO in last two days of the expedition. Thank you! Also T2GC expedition has very good ears but especially on 40M when I heard the noise created by some EU stations, I couldn't be polite. Even my wife asked me what is happening, because I used rude words to describe what I hear. What makes me happy is Z21MG expedition by David, OK6DJ and others. Good work guys! To celebrate 25 years of the FOC's in-house magazine FOCUS, the 100th edition of which will be published on 1 January 2015, FOC members will be calling "CQ FOC25." Points will be earned, by members and non-members, for working FOC officers, FOCUS editors and any FOC members. A certificate will be issued to everyone who achieves 100 points. FOC is pleased to present the FOC QSO Party. This event is open to all radio amateurs world-wide. Its aim is to encourage the use of, and excellence in, Morse code. The FOC QSO Party is not a contest but an activity day in memory of Bill Windle, a past Chairman of FOC who was very keen that we should all be as active as possible on the bands.